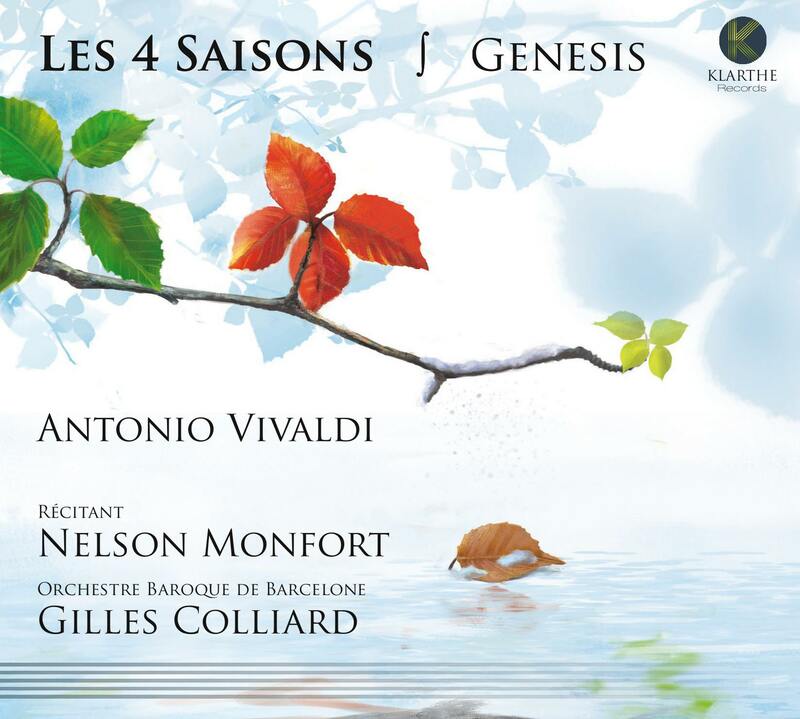 "Why yet another version of the four seasons? This question comes back again and again because this opus of Vivaldi has become so universal. The answer is of course: because no-one really knows the four seasons. Let us put the work into context. Vivaldi, a prolific composer, whose abundant output satisfied the demands of a Venetian audience, hungry for new music, offers here a music that is representative, descriptive, a music that is totally baroque. A music that personifies the definition of the word "barocco", of portuguese origin, a pearl of a rare form, bizarre. 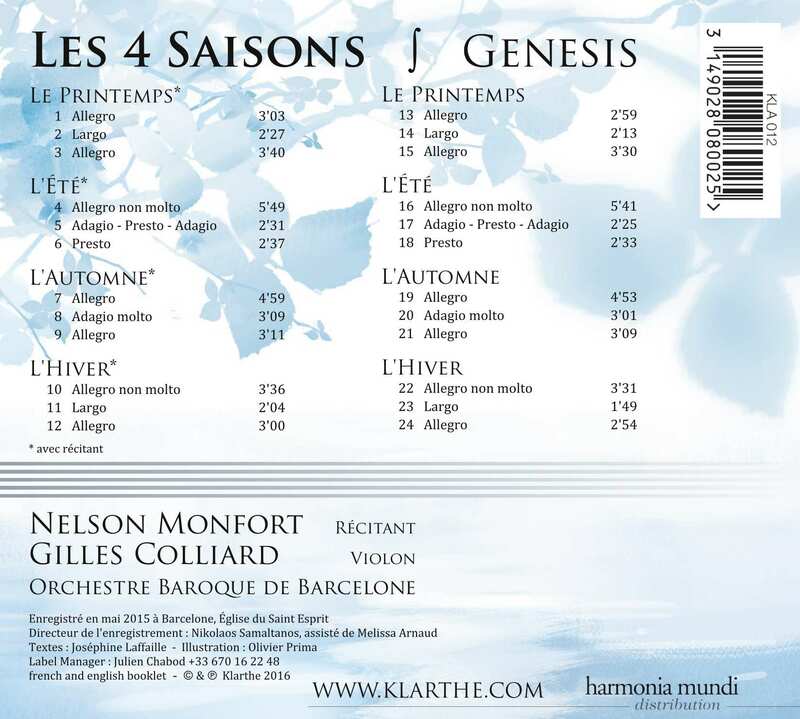 Here is a music that tries to faithfully describe a man confronting the seasons, a man of another era, for whom the destruction of a crop signifies chaos and the arrival of spring, hope. The Red Priest provides us with poems. The possibility of hearing the verb and the notes of a master in order to be powerfully reminded that music is a language. Here is the very first version with narrator, where I hope that the text can be woven amongst the sounds, to be harmonised and underline the melodic subject. My approach was motivated simply by a wish for authenticity and integrity. A baroque orchestra with the will to interpret this music on gut strings, restoring a more guttural sonority, so close to the human voice, and with a will to let the music 'speak'. This disc is an invitation to travel. Enjoy the pleasure of an autumnal snooze, of winter ice-skating or of a joyous ball. Join the dance! "